You are here: Home / News & Announcements / Cupcake Anyone?????? Yaaaaaaay it’s Friday!!!!! It’s Lydia here and I hope you all are well out there in blogland and have a great weekend planned. Today I wanted to share with you a card that was bright and uplifting as the weather outside my window is not – typical Welsh weather dull and wet! But not to worry I’m inside with the heating on and a LARGE mug of coffee..hehe. So on to my card…. Love this little image called ‘Cupcake Anyone?’ it’s so sweet and could be used for loads of different cards. Also I was thinking that because of I used die-cuts I could enter this card into the challenge over at Party Time Tuesdays where this week the lovely Christine is sponsoring and so you could win yourself some The Paper Nest Dolls digis !!!! 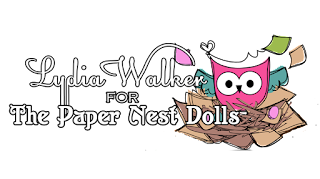 Also also, the first ever Paper Nest Dolls Card Contest is ending soon- we really want to see your fab creations using TPND images and you get to choose 5 copic markers if you win!!!! Also, also, also Christine is having ANOTHER GIVEAWAY, here’s what the lovely lady has to say…. GIVEAWAY!! 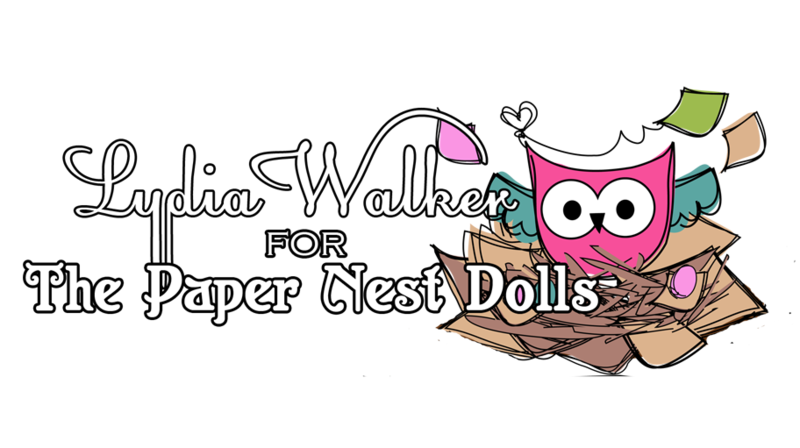 All you have to do is be a follower of my blog and add yourself to Christine PaperDolls Facebook page. thats it…..easy, right ?? Every Sunday night i will be doing a random drawing, JUST for followers of my blog and my Facebook page . The prizes will change each week…and to make it fun, you dont know what the prize is UNTIL you have been chosen ! hehe. I will let you know however, i have some GREAT things i will be giving away ( Copic markers , Paper Pads, Gift certificates , and lots of Embellishments ( Prima flowers, doodle bug twine and MUCH MUCH more !! ) I have only named a few !! this is just such a cute card! love those big ol’ flowers, too! embellies are such a weakness of mine. sorry I can’t be one of your FB followers, as I don’t have an acct. there, but I am most certainly a happy blog followers! 🙂 your images are so adorable!